Looking back over the year's projects. As we sit here reflecting over the busiest year yet! Our minds keeps coming back to all the many projects that the team have done and are doing. The weather has really made a difference to how people have used their gardens this year. How much have you used your garden this year? Have you found you used it less than normal? 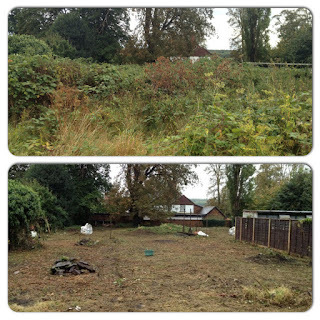 We have found that due to all the rain we had over the summer, vegetation grew considerably more than normal and when we had some nicer weather we suddenly got many enquiries for clearances as customers had realised how much everything had grown! Aside from the clearances, we did have quite a variety of projects and after some deliberation we would like to share our favourite five with you. 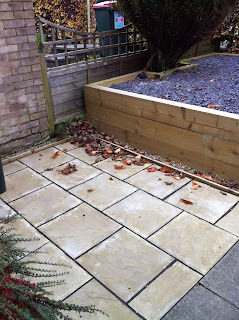 In March of this year we were presented with this small front garden to redesign and construct. The current owner was unhappy to come home to this every day and said it didn't really have the wow factor! We set about designing a garden that they could be proud of- they wanted it to be low maintenance and have a utility area for bins. To keep costs down the current steps and path were to stay. 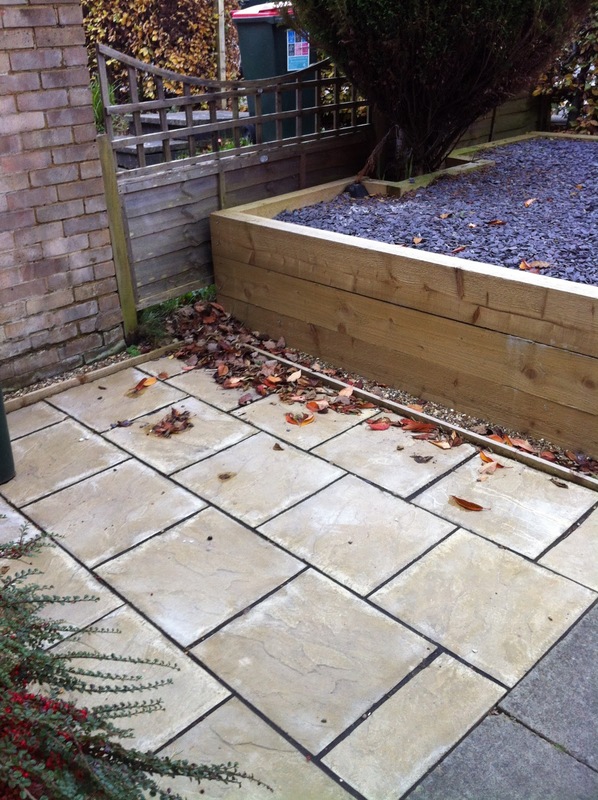 Before photos - The garden was a slope and had no style - the owners wanted a low maintenance garden with a utility patio. One of our largest contracts is a large estate which totals in 25 acres (including woodland!) We maintain the main garden, orchard, 4 paddocks and more! 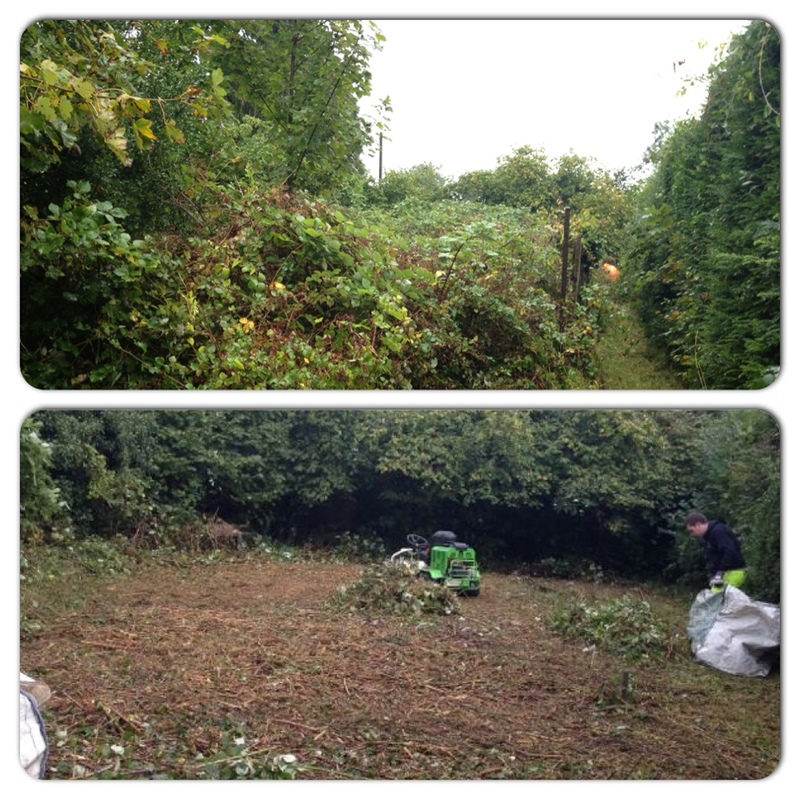 One of the reasons that we particulary like this contract is the variety of gardening tasks it brings - large grounds mowing with our etesia, pruning of fruit trees, maintaining beds, hedge cutting, leaf clearing etc We are looking forward to the next 12 months where we will be taking the garden through all the seasons. In May of this year we had an enquiry to renovate the front, back and side of a property. The client had specific requirements. 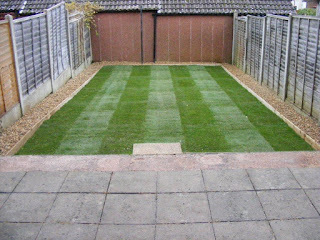 He wanted a shingle path at the side, shingle to replace a patio, a new level lawn with drainage and a play area - bordered with sleepers. The front garden was left up to our imagaination- after a lot of thought, as the garden sloped both horizontally and vertically, we opted for a sleeper border of different heights- used the same shingle as the rest of the garden and new sleeper steps. We were really proud of the result and so was the client. 4. 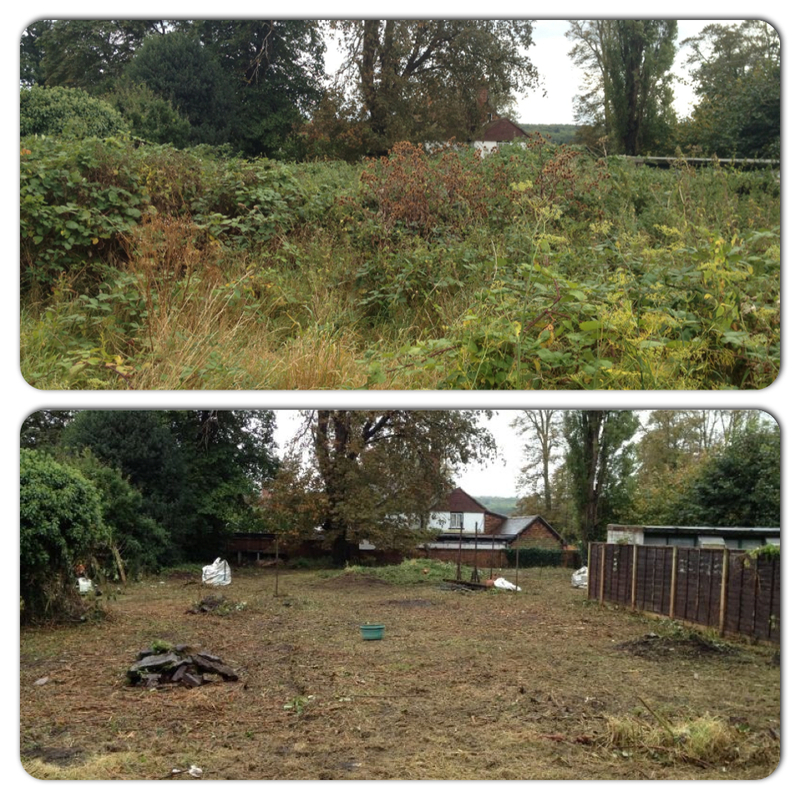 Site Clearance in Godstone, Surrey One project that has been ongoing since September of this year right up to the present- is a site in Godstone that has been left for 20+ years. A real challenge to clear- but we are loving it! Every week uncovers something new. 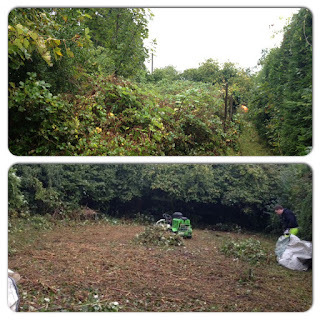 Here are the photos of the first week- two large areas of brambles to clear. Since then we have continued to clear the site (too many photos to show on here!) You can follow the progress on our facebook page. We look forward to seeing the landscape architects plan come into action next year. 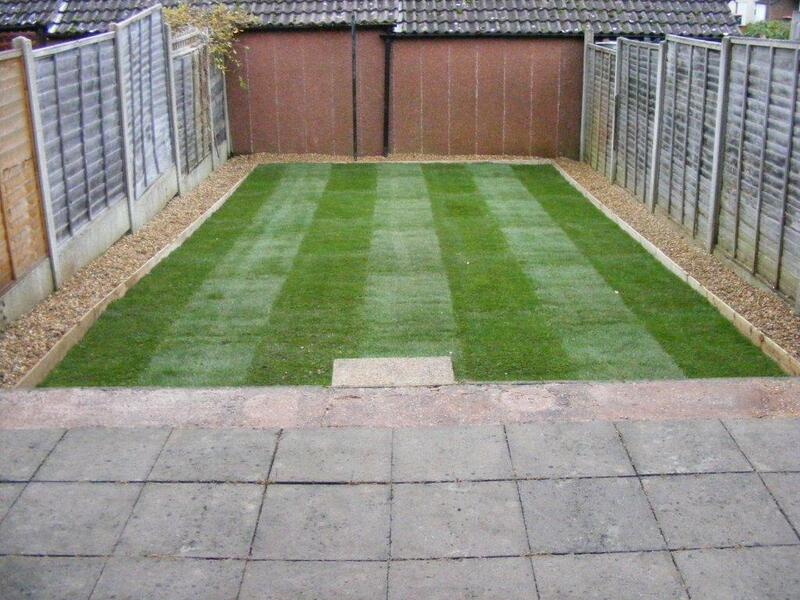 We really enjoyed this garden clearance and turfing from October this year. The customer didn't even want to open their curtains to this sight. One of the main reasons we like this garden clearance was the uncovering of a whole garden of carpet (left by a previous owner!) It really was a surprise! But nevertheless, we managed to clear and renovate this garden in 3 days! Gosh our lads work hard! The discovery of the carpet! Many more projects we want to share with you- but it's best we leave it at 5 as we will waffle on and on otherwise! Why not keep updated with our projects by following us on twitter or facebook or by viewing our website - Ayegardening. I love what you have done with the garden in Worth...the front garden looks so clean and simple, while the back garden looks huge! Hope next year is another busy one for you! Hi Phil, thank you very much for the great comments. 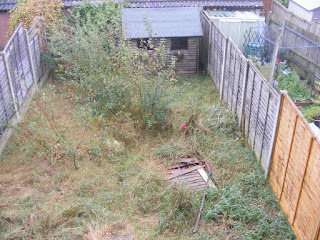 Yes, the back garden did appear larger- Susan took the photo from a different angle so it could be that also. We loved the simplicity of the front garden too. Thank you, hope 2013 is a busy one for you too!